Planning a trail running adventure this summer? Those living in Ontario are smart to check out The Bruce Trail. Here's what you need to know about it. Now that summer is fast approaching, many runners who have finished their goal spring race are assessing their running and wondering what to do next. If you’re looking for something out of your ordinary road running routine, consider taking advantage of gorgeous Canadian trails while you have the fitness needed to take them on. Canadians are blessed with an array of scenic hiking trails from coast to coast. One of the is the Bruce Trail. Running from Niagara Falls to Tobermory, Ont., the Bruce Trail spans 885 kilometres with 400 kilometres of side trails. It’s Canada’s oldest and longest marked footpath and follows that stunning views of Ontario escarpment. Anyone who travels the trail from start to finish will begin in Queenston Heights Park in the Niagara region in a gorge carved out by the Niagara River. 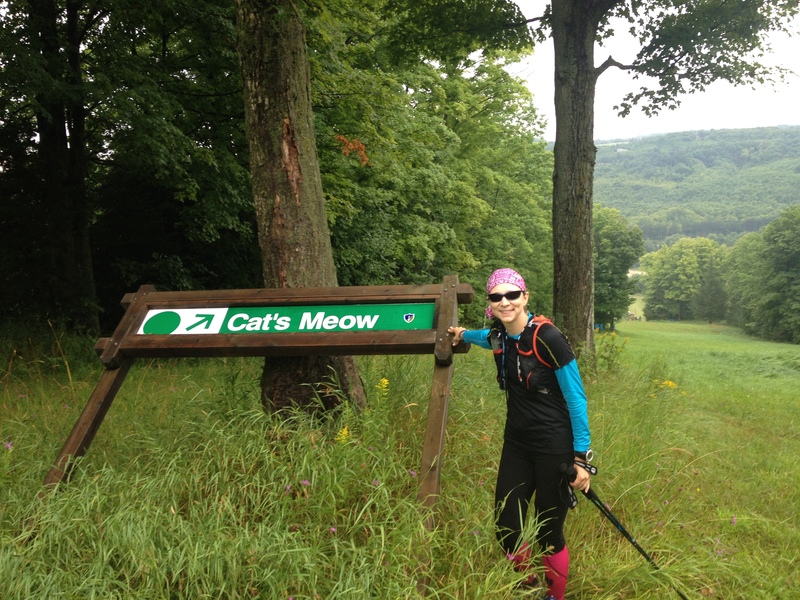 The final section takes trail runners or hikers from Wiarton, Ont. to Tobermory. This peninsula section of the Bruce is the roughest and most remote. It’s also said to be one of the most visually appealing segments with cliff lookouts that grant views of the stunning blue waters of Georgian Bay. The last 30 kilometres of the trail takes place high up on cliffs until it reaches the north finishing point. This is the prime location to branch out and give trail running a try. If you’re considering planning a multi-day trip, you must do your research ahead of time and plan well. For example, anyone planning on camping on the trail should know that sites are sparse. Limited camping spots means that runners need to travel far distances between sites or consider other options like booking a motel or B&B. If you do camp at one of the 24 locations along the trail, it’s best to book well in advance to ensure getting a spot. The Bruce Trail website advises those on the trail to be cautious of wildlife and to hang food four metres above the ground and away from the tent if camping. And if you’re going, make sure to follow the white trail markers to stay on the right trail! Jim Willett: This Newmarket, Ont. runner set the record of running the trail. He completed his run just this past September finishing the whole 885 kilometres in 10 days, 13 hours and 57 minutes. Not only is he a super fast ultra-runner, he also has recovered from colon cancer. He says having cancer taught him determination which he applied to the trail. Rhonda-Marie Avery: This mother from Barrie, Ont. has only eight per cent vision but took on the entire trail. She ran it in 20 days starting early August last year. She ran with guides for the entire time. Cody Gillies: When Gillies was just 22, he ran the full Bruce Trail. That was three years ago. He covered the trail in 12 days, seven hours and 39 minutes. His goal was to complete the feat in less than 13 days. Gillies is known as a sort of Bruce Trail running expert and accompanied Avery for five days and helped pace Willet last fall. St. Catherines Road Runners: This running group in the Niagara region in one of the many clubs that head to the trail for workouts. Every Sunday, this running club heads to the Bruce Trail for a run. They aren’t the only Ontario group that does this. Check out local clubs to find other Bruce Trail runners. The Blaze Race runners: In 2009, western Canadian adventure runner, Simon Donato organized The Blaze Race. It consisted of two ten-person teams that would run an around-the-clock relay of the full trail. He divided the 885 kilometres into 45 sections and the two teams went head to head. They covered the full thing in three days, 23 hours and 10 minutes. That’s the fastest relay ever done on the trail.